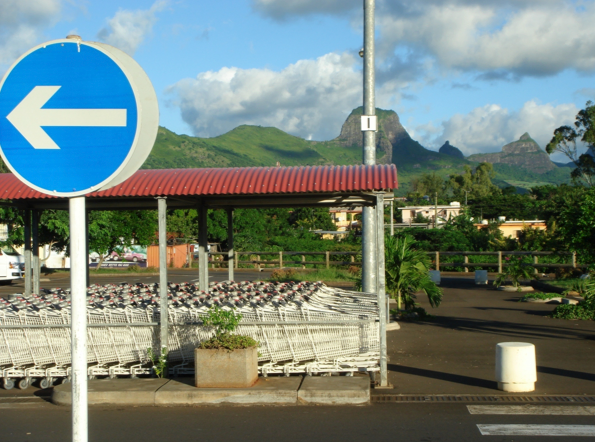 Driving around in Mauritius, suddenly, in the green wild, a shopping mall. It was a somehow unreal feeling walking around in the mall. It was silent, empty and out of it’s cultural context. I went back several times to see if the emptiness only was a coincidence with my first visit, but no. The lines of cashier just sitting with almost nothing to do, the overfilled shelves, the lonely woman walking around.